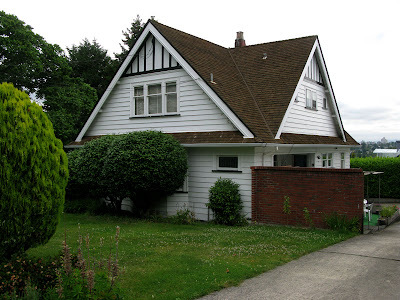 A little cottage at 4038 W. 18th Avenue. Torn down February 2011. 3529 Quadra Street was a special spot for this lovely house because it was situated high on the hill, overlooking Blenheim and Quesnel Streets and the downtown. Adjacent to the property was a walkway with steps connecting Quadra and Quesnel. 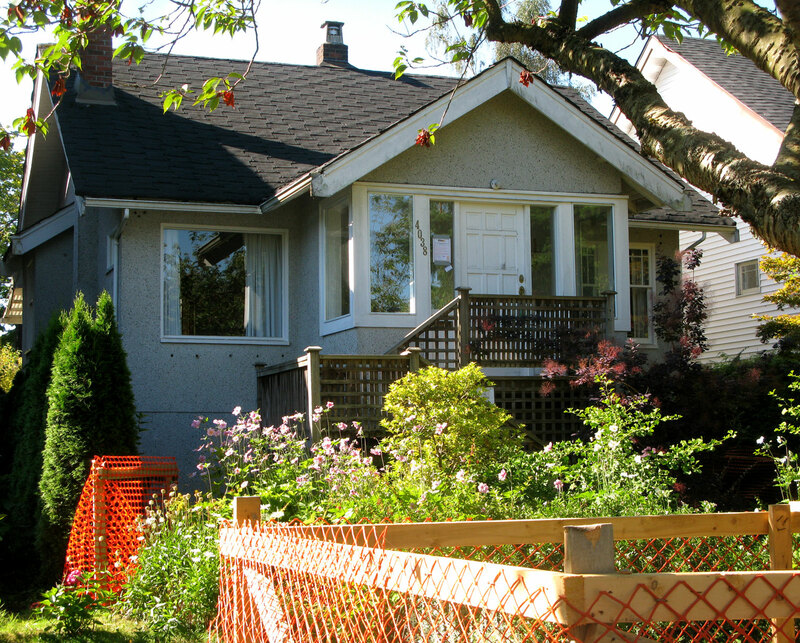 The house has been replaced by a house plus laneway house, and it appears that a second house will be built on what was a large lot. Torn down 2012. When this one was torn down in the summer of 2012, I was quite surprised to see that it had interior walls of brick. Or were they exterior walls, later covered by stucco? Although the house looked very good, perhaps the bricks hampered its durability. But I have my doubts. 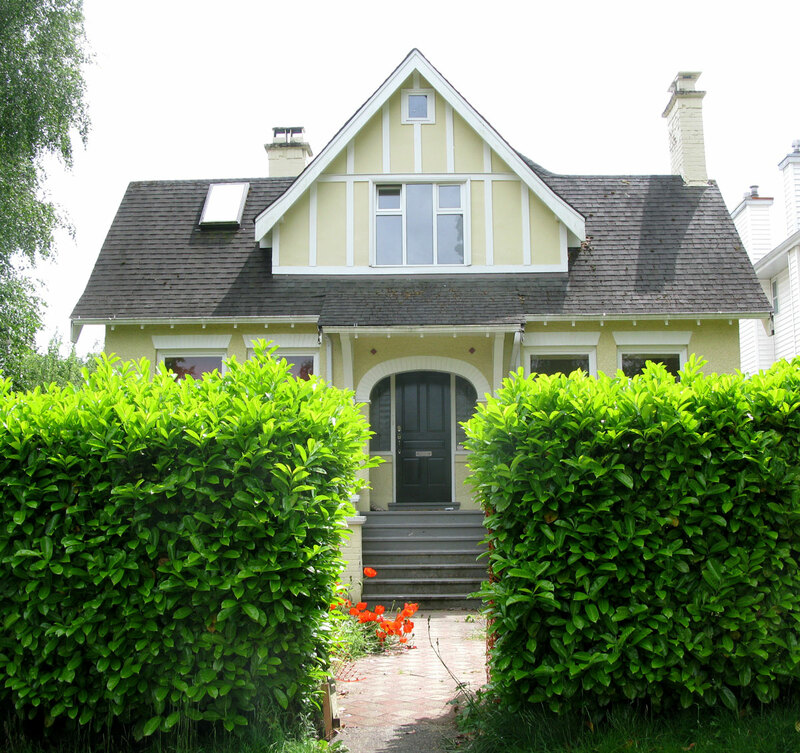 3930 West 29th Avenue.